Holiday Season At Fresh | Welcome to the Fresh Blog! We’ve been a bit negligent about keeping the blog updated, but not to worry, we plan on doing lots of blogging between now and the end of the year. First, our big news is that we’re featured in this month’s issue of Seattle Magazine on page 40. You can read the article online (sans picture) as well. Special thanks to Lei Ann Shiramizu who wrote the article and who has been absolutely terrific to work with. Lei Ann just opened her own boutique in Seattle’s Japantown in the International District. It’s called MoMo. More information at momoseattle.com. Also, we wanted to thank Tucker English who took the fabulous picture that appears with the article. Tucker’s Web site is at http://www.tuckerenglish2.com. Also, we’re pleased to announce that we now have Fresh Gift Cards. Available in any amount, these are a great gift alternative. Finally, what’s new at Fresh? 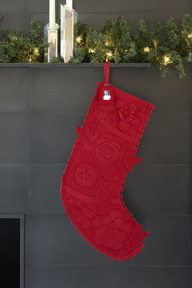 How about some incredible holiday stockings by Seattle’s own Ahna Holder. Ahna’s creations have been featured in Child magazine, InStyle magazine and most recently Lucky magazine. 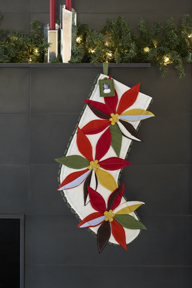 Ahna started her company in 2003, and her holiday decorations are now sold all around the country and world. 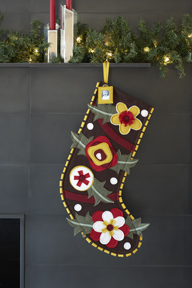 We’re so proud to have Ahna’s stocking in the store. We hope you’ll stop by and see them in person.